Credence Research has just released a new report on the Custom T-Shirt Printing Market Forecast 2017 – 2025. The global market for custom t-shirt printing industry is expected to cross US $10 Billion by 2025. 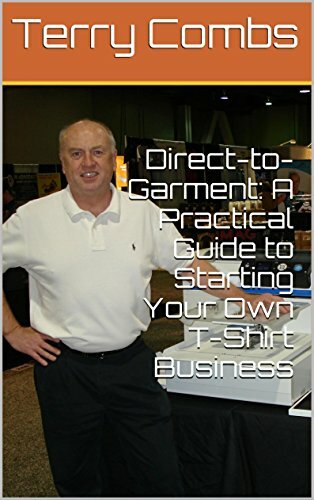 They go on to note the custom t-shirt printing industry has staged a remarkable comeback post dismal market conditions prevalent during the economic crisis. Shout Outs: Nathan Foeller with Minuteman Press in Stroudsburg, Penn. Our longtime show listener Izabela Pintarich also from Pennsylvania stopped in to say hello as well! We want to encourage people to continue to reach out to us. I had the opportunity to talk to Chuck Hamaty of Maine Street Graphics in Bridgton, Maine this week about sublimation. Aaron: Today we are talking about the future of our industry and why it is so important. Start us off with a brief summary of what you have been involved with on this front over the last several years and beyond. Johnny: I’ve led SGIA initiatives focused on cultivating the future workforce of our industry. One of the top issues we hear from business owners is “I can’t find skilled employees.” Some of these activities have included SGIA Scholarship, SkillsUSA, USASEF, SGIA Student Membership, Fresh Artists, Curricula Development for SGIA Educator Members, GCEA Conference, ASDPT Tom Frecska Student Printing Competition. Terry: Tell us a little bit about Skills USA and what it’s all about. Not just at a national level but at the State and even school level. Johnny: SkillsUSA empowers its members to become world-class workers, leaders and responsible American citizens. SkillsUSA improves the quality of our nation’s future skilled workforce through the development of Framework skills that include personal skills like integrity, work ethic, and professionalism; workplace skills like communication, teamwork, and decision making; and technical skills like computer literacy, job specific skills, and professional development. SkillsUSA serves more than 335,000 students and instructors annually. SkillsUSA has served more than 12.5 million annual members cumulatively since 1965. Jim Jay Busselle · 19:44 Maybe SGIA needs to reach out to Mike Rowe – if they haven’t already! Jim Jay Busselle · 20:22 Welcome to the Island of Misfit Toys!! Aaron: So why are programs like Skills USA and others you are involved in so important to our industry? Johnny: As I mentioned earlier, one of the top issues we hear from SGIA Members is “I can’t find skilled employees” so SGIA is making strong efforts to help our Members (and the industry) by reaching out to young adults and engaging them with SGIA on a variety of levels (SkillsUSA, SGIA Scholarship, SGIA Student Membership, ASDPT Tom Frecska Student Printing Competition). We want to let them know we have a fun and exciting industry and welcome them to become a part of it. Erich Campbell · 22:09 Mentorship is critical, and we can’t do enough to support the next generation, materially and personally. Erich Campbell · 25:06 We should be actively working to set up the schools with decoration studios. I still remember the old-school paper printing I did in high school; it meant a lot. Terry: So our current listeners might be thinking, that this all sounds well and good, but what can I do? For example, if I’m an industry supplier, what types of things can I be doing to support you and why? Johnny: Much of the work we do at SGIA on this front would not be possible without the generosity of our Supplier community. Specific to SkillsUSA, our Suppliers provide all the materials and equipment necessary to execute the National screen printing and sublimation competitions: Screen printing equipment from BBC/Black Body, HIX, M&R, Ryonet, Vastex. Screen frames from Stretch Devices. Blank garments for printing by FOTL. Materials like ink, emulsion, mesh, and squeegees from Easiway, Murakami, Shur-Loc, Fimor USA, Wilflex, and Saati. Sublimation printers from Sawgrass and EPSON, sublimation blanks from Conde and Unisub. Software from Freehand Graphics, training DVDs from Graphic Elephants, and much more). Not only do these companies provide the needed equipment and materials for these competitions, but they also provide prizes to the student winner’s and their schools. By donating these prizes, the student winner’s are more likely to stay involved with our industry, and because the schools also receive prizes they are more able to deliver a solid education to their students using modern equipment and materials. Last year, we received over $75,000 in prizes from the Suppliers…and this year we want to surpass that figure. So there’s your answer Terry…Suppliers can donate prizes: squeegees, loupes, ink, screens, emulsion, chemicals, blanks, goodie bag items (corporate branded items like pens, t-shirts, stress balls). And all National competitors receive $250 from SGIA to help offset their travel expenses. Jim Jay Busselle · 26:47 Is SIGA supporting or connecting with any vocational / technical schools? Aaron: What about the decorators out there? What should they be doing and how does their involvement help them? Johnny: My advice is to research schools in your area to find out if they have a graphic communications program. If they do, engage with them, invite them to your shop for a tour/field trip, make a presentation to the class about your business, share your enthusiasm about the industry to let them know it’s fun and rewarding. You can also connect with your State SkillsUSA chapter to find out about State and Regional level screen printing and sublimation competitions and see if you can offer support by helping judge or loan the use of some equipment or materials. Many regional and state competitions are grossly under supported and need help. Often, volunteers who coordinate at this level are unfamiliar with how to properly setup these competitions. Marshall Atkinson · 28:40 How can we help if we can’t travel? Can I donate a few copies of my eBooks? Erich Campbell · 30:51 I wonder what we thread-slingers could be doing in the same vein? Embroiderers assemble! Jeanette Bohlke · 34:07 I bring my 14 year old to trade shows every year and she just loves seeing all the different decorating aspects of our industry! Terry: What other news is happening in your world? Johnny: Along this same line of discussion, we are gearing up for the 5th USA Science & Engineering Festival (April 6-8, Washington DC) which is the nation’s largest Science and Technology festival designed to stimulate and sustain the interest of our nation’s youth in Science, Technology, Engineering, and Mathematics (STEM) by producing and presenting the most compelling, exciting, and educational Festival in the world. SGIA will be showcasing sublimation and direct to garment inkjet printing live at the festival and the youth in attendance will have the opportunity to make their own printed shirt. We’ll also be running video showing the many other facets of our broad industry to enlighten and encourage the young students about printing. Aaron: To close up our conversation today, we just want to make sure that all the industry suppliers out there, you are on notice. The motorcycle mechanics competition gave away a Harley as a prize and over $10,000 if I recall reading the sign correctly. WE MUST STEP UP AS AN INDUSTRY! Johnny Shell has served as Vice President of SGIA for the past twenty years. 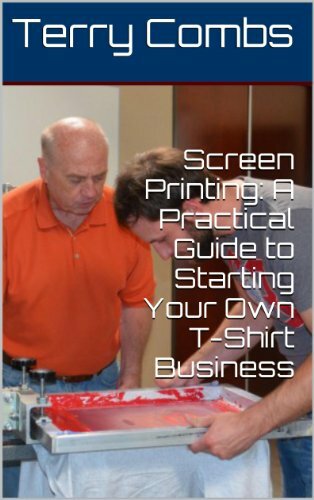 He works to educate the industry on the capabilities and viability of specialty printing. 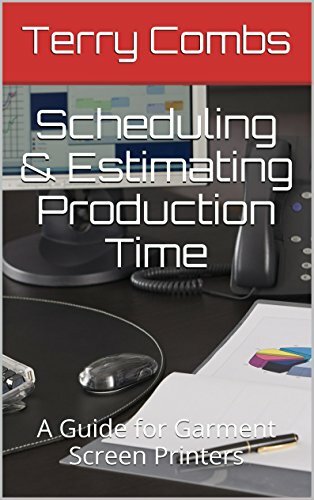 Johnny also teaches numerous workshops annually, and his technical writings appear regularly in top industry publications. In addition, he is a frequent speaker at industry events and trade show expositions both domestically and internationally.